Snapshot: Honda Cars India will debut the Vision XS-1 crossover concept at the upcoming 2014 Indian Auto Expo. 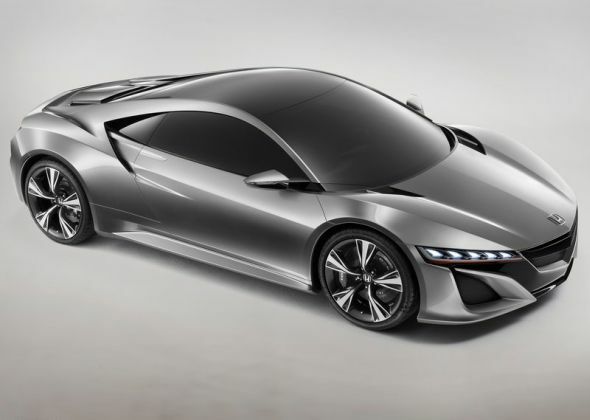 Apart from stating that the new concept would showcase Honda’s design language and interior space maximizing packaging technique, the automaker hasn’t released any other information about the new concept. It remains to be seen whether the Honda Vision XS-1 Crossover concept is a prelude to the Brio-based compact crossover that the Japanese car maker is said to be developing with emerging car markets in mind. Whatever be the case, the 2014 Auto Expo will be the place where we’ll find out. The recently unveiled 2014 City sedan and two upcoming car models for India, the 2014 Mobilio MPV and Jazz hatchbacks will also be showcased at the 2014 Indian Auto Expo, along with the Accord Hybrid and NSX sports car concept. The Brio-based compact crossover will be the fourth car to be based on the Brio low cost car platform. The other cars based on the Brio platform that have already hit serial production are the Brio hatchback, Amaze compact sedan and the Mobilio MPV. The crossover based on the Brio will go on sale in markets such as Indonesia and India. Click here to read more about the Honda Brio-based compact SUV. The compact SUV will be a cheaper alternate to the Vezel crossover, which is targeted at developed markets as the costs to re-engineer the Vezel to suit the pockets of buyers in emerging markets is said to be prohibitive. Honda is bullish about the Indian car market and has dumped its premium pricing strategy for an approach that is more value-centric. Cars such as the Brio, Amaze and City have showcased Honda’s new pricing strategy. Also, Honda has begun outfitting its cars sold in India with turbo diesel engines, in line with what buyers demand. Click here to read more about how Honda is turning around its car business in India.